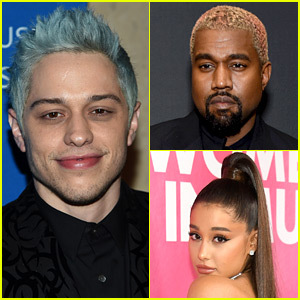 Pete Davidson is inserting himself into the online scuffle between his ex-fiancee Ariana Grande and rapper Kanye West. It all started when Kanye went on a rant against Drake earlier this week, hours before Ariana was set to drop her new song “Imagine.” She then tweeted a joke about the feud and asked the “grown men” to stop fighting. Kanye then spoke out and slammed Ariana‘s tweet, saying that his mental health was affected by what she said. Ariana later apologized for triggering him. Now, Pete just released a statement on his Instagram account applauding Kanye for speaking up about his mental health. “Bravo Kanye West for standing up for yourself and speaking out against mental health. I can’t explain to you enough how difficult and scary it is to be honest about stuff like this. We need people like Kanye. No one should ever point fingers at you for your bravery in speaking about mental health. I’m seriously disgusted,” he wrote. How Has Marvel’s Elimination Of The Creative Committee Changed The MCU?